We LOVE helping you create fantastic holiday memories! 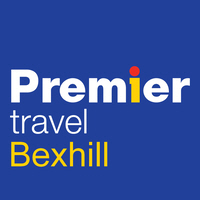 For some great ideas take a look at the NEW Premier Holidays 28 Page Brochure! And, as always our Offers Pages if you can’t see what you want please call in to see us or Phone / email your requirements we have thousands more to offer. Read the latest Travel Reports: Toronto - October 2018 - by Karen Swann, Sardinia - Classic Collection Holidays - Sept 2018 - By Beccy Gallop AND “ New York by Jayne H (Customer)” Jayne and Rachael just returned from a fantastic trip to the Big Apple. Find it and many others by clicking on our Travel Reports Page . This page is filling up with many interesting and informative travel reports these are written by staff and customers of their adventures. PLEASE send us your reviews & photos by email we LOVE to hear & see what you did & saw on one of our holidays. Let us know if you would consider letting us publish it on our website. We now have a NEW Testimonials page with some lovely letters from some customers …. Why not take a look here? You might like our useful checklist for disabled or less mobile passengers HERE why not print it off and complete it to help us help you? You may like to know we offer a Wedding & Honeymoon Gift service (click here). Where your wedding guests can contribute to your honeymoon plans by buying a gift voucher towards your perfect trip. You may be planning your Big Day, Stag or Hen night at home or abroad why not let us help you with all your travel & accommodation needs?